Our family practice was established in 1986, and we are committed to providing exceptional service to our patients, using cutting-edge treatment techniques, in an ultra-sterile environment. We offer comprehensive dental care to adults and children, and our sterilization procedures meet/exceed all government standards. 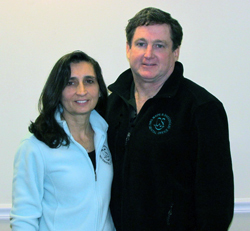 Dr. Maria Saccoccio & Dr. John Wade both graduated from Tufts Dental School in 1986. They are married to each other and have 3 children. Both Dr. Saccoccio & Dr. Wade were recently voted as top dentists in RI. (RI Monthy, 2013). Dr. Wade has been consistently voted one of the best dentists in Rhode Island, (RI Monthly, Sept/99), (RI Monthly May 2005). 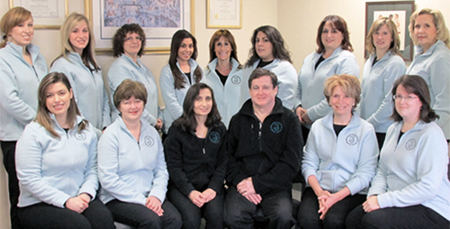 Our highly trained professional staff works hard to create a gentle, caring and personal atmosphere. · Always treat our patients with respect and concern. · Always recommend treatment based on our patients’ best interest. We will offer all options available, presenting both pro's and con's relative to all service options. · All treatment options will be thoroughly explained prior to treatment. · We do our very best to stay on schedule at our office, knowing that your time is valuable to you. We realize that every patient is unique and providing the best care for each individual is our top priority. · Our staff of highly trained professional will continue to stay abreast of all new technologies by regularly attending training sessions and seminars. Please come visit us in our modern facility, conveniently located in Warwick, Rhode Island.